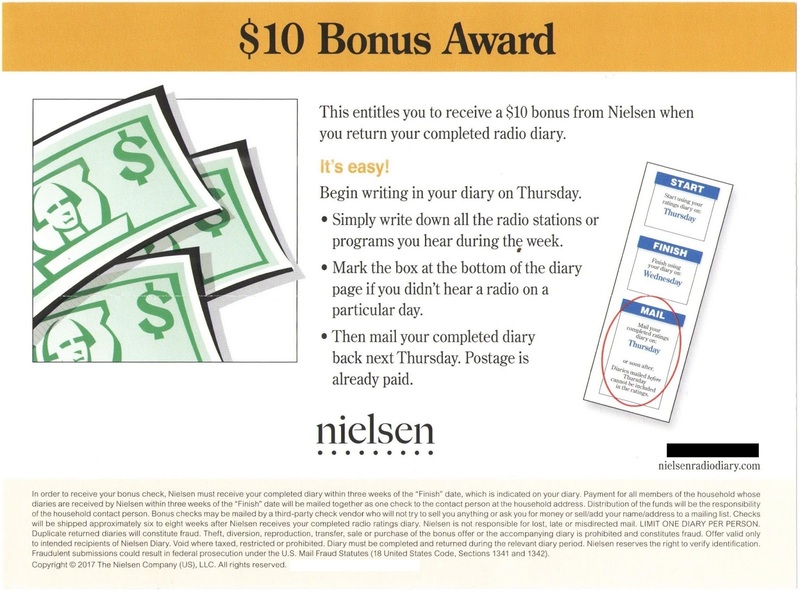 As much as I appreciate the importance of a ratings system, it's hard to ignore the "Publishers Clearinghouse sweepstakes" vibe in the continual promise of future cash. 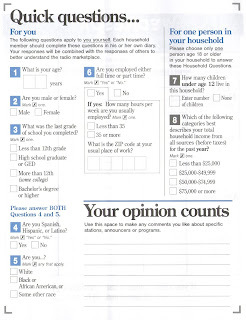 But I suppose for most other participants, the ratings themselves are of little interest. 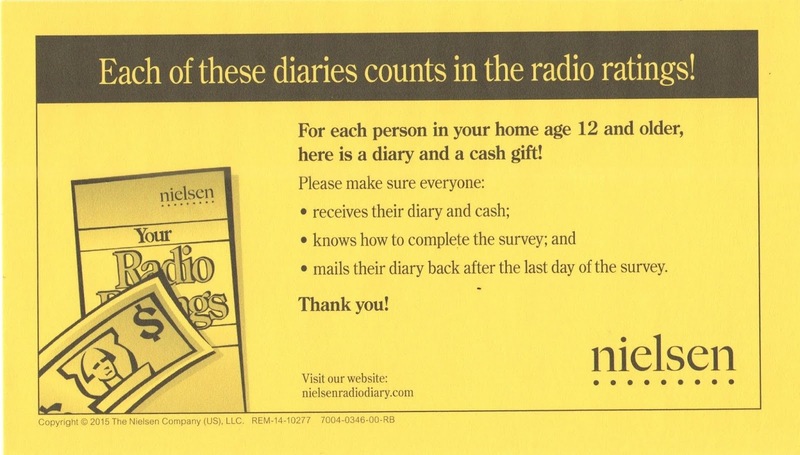 They're driven by a combination of money and ease of participation. I am sure Nielsen has studied this as well and has a nice vector diagram that stands as a cultural proxy for laziness and greed. Most radio listeners listen to local radio, in the car in the commute to and from work. 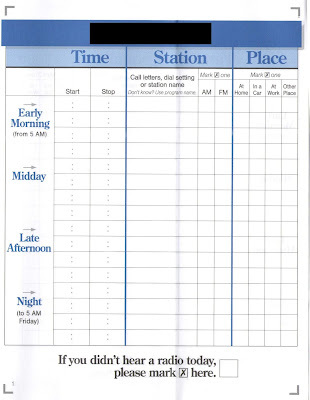 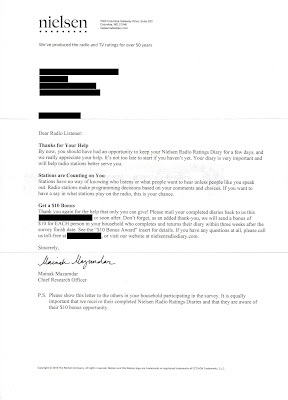 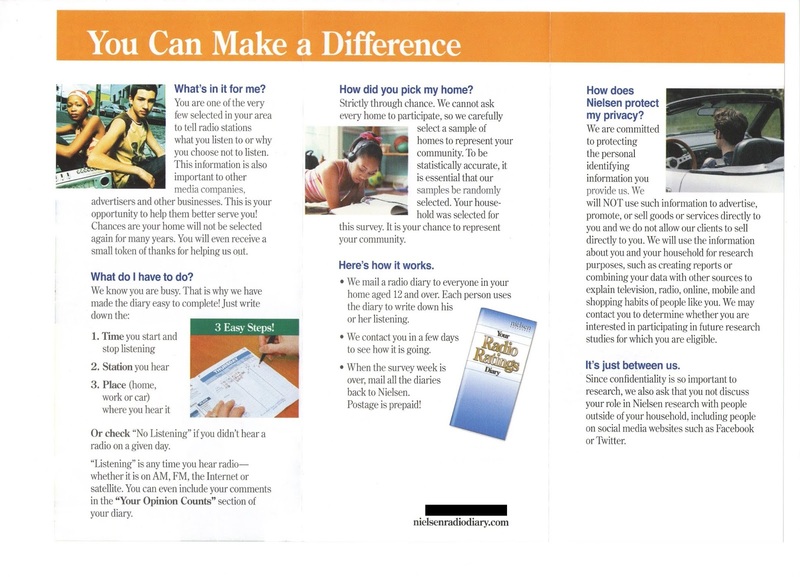 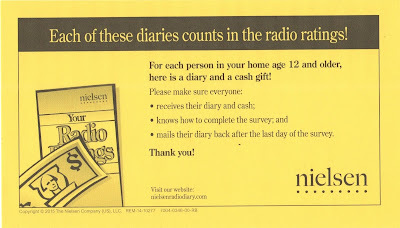 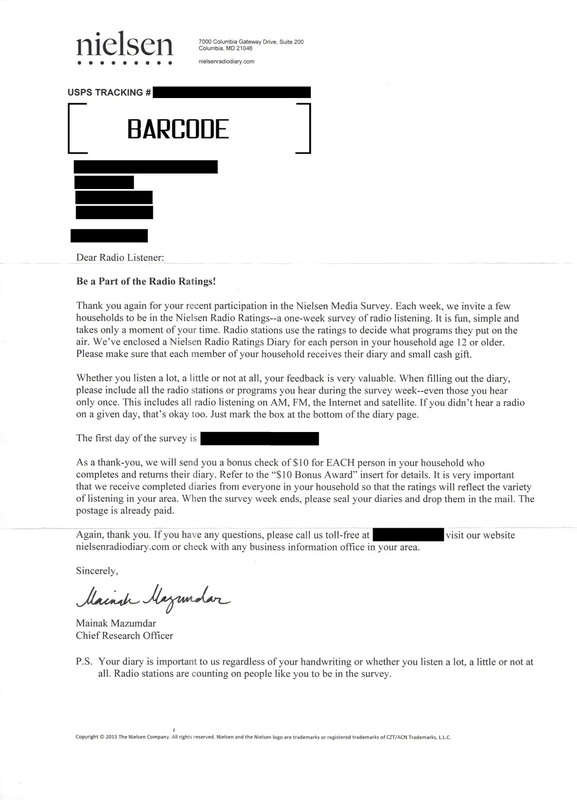 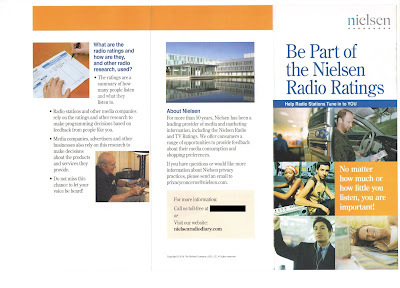 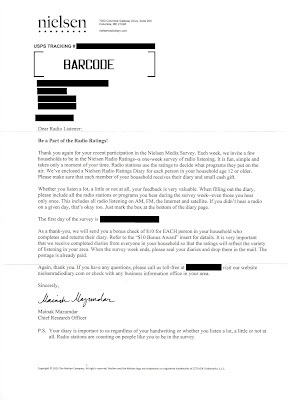 However, in each letter, and this pamphlet Nielsen dives home the point "Listening is any time you hear radio- whether it is on AM, FM, the Internet or satellite." 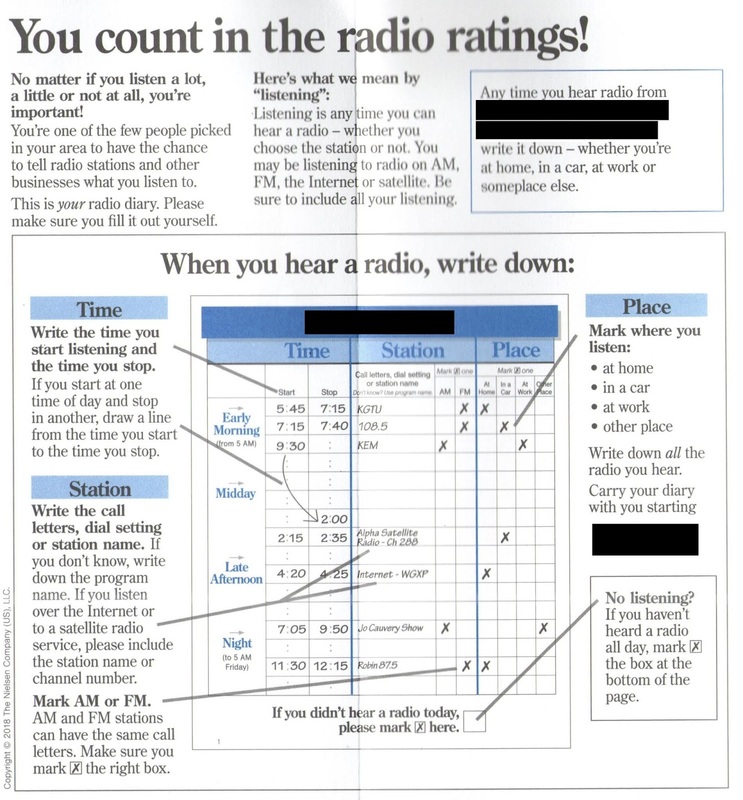 In 2019 most of my radio listening is on the internet, and a minority of those have actual terrestrial broadcasts. They failed to itemize podcasts, but I'll include those as a subset of internet.